So you have decided you would like to travel Southeast Asia by motorcycle, but how do you go about buying a motorcycle in Southeast Asia? 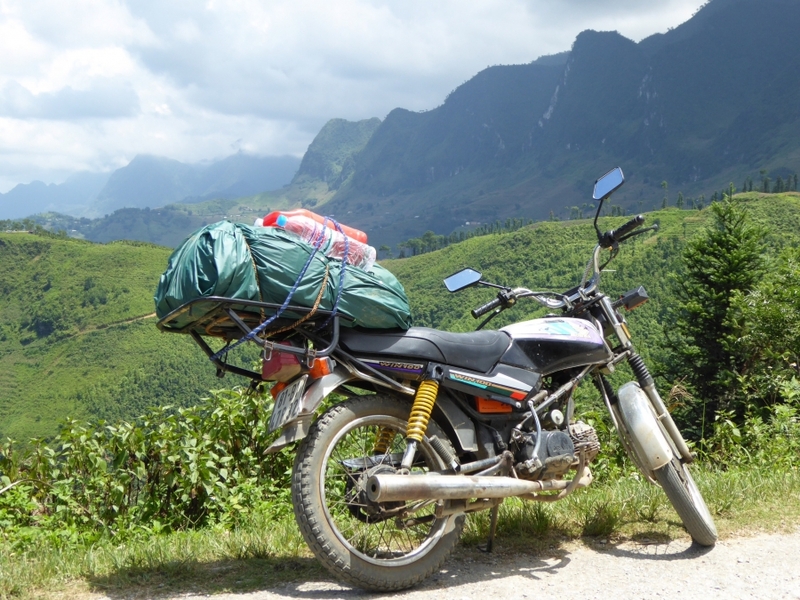 Part of the experience of touring Southeast Asia on a motorcycle is not bringing your own bike. Instead, buy or rent what the locals ride, embrace the prevailing conditions and adapt to the local driving style, which ranges from lackadaisical in the countryside to a free-for-all in the cities. Across the length and breadth of Southeast Asia you will see scooters and motorcycles everywhere, with many carting unbelievable loads that defy the law of physics let alone road sense. 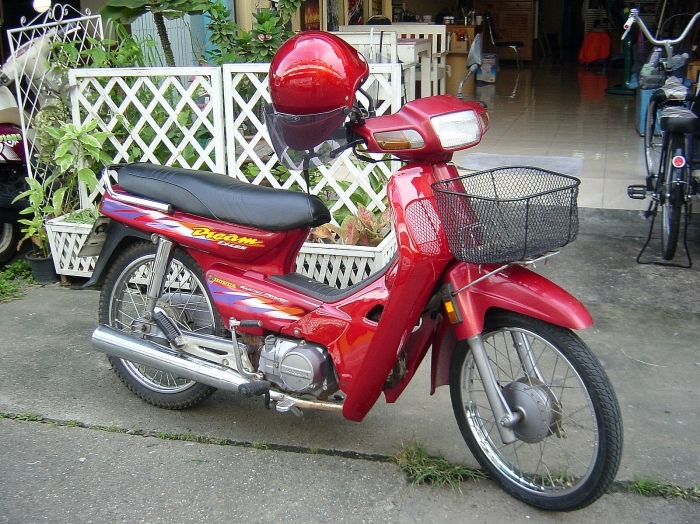 The humble Honda Dream and Honda Wave scooters along with the Honda Win, Honda Benly and in Vietnam in particular, the Minsk, have become synonymous with this part of the world. They are available secondhand everywhere from guesthouses to garages and there are as many spare parts as people riding them. The beauty of travelling through Southeast Asia on motorcycles is that you really can make it as rough and ready or as refined as you like. In some cases (read: Minsk), riding the local favourites delivers a challenge if you’re used to something smoother or bigger. Overall, the tight roads and varied conditions that you are likely to encounter call for a lighter bike and besides, touring is all about adaptation! Will set you back between US$200-300 secondhand. Expect to pay US$5-10 for minor repairs that will inevitably punctuate your adventure. It’s a good idea to change your oil every 300 km, at a cost of US$4-5. Light enough to carry on trains and buses. Parts for are interchangeable with the Dream/Wave and therefore available all over Southeast Asia. Another reason to opt for a lighter bike if you are travelling independently is that Vietnam has a 150cc limit on bikes in the country. Trying to get a non-Vietnamese bike into Vietnam is a headache enough but bikes bigger than 150cc come with a lot of paperwork that will likely take 1-3 months to push over the line. If you’re planning on a grand tour of Southeast Asia, it might be worth starting in Vietnam and buying a Vietnamese-plated bike because you will be able to enter Cambodia and Laos easier than you can the other way around. 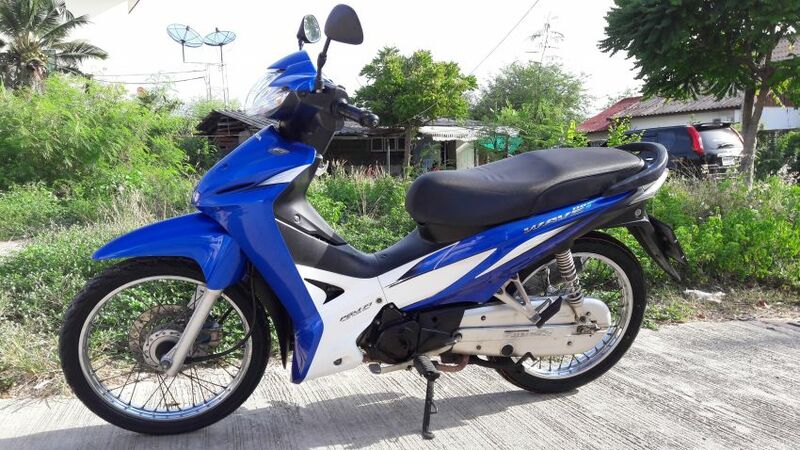 Buying brand new in Southeast Asia can require a lot of paperwork, more than it’s worth unless you are relocating to live and have your heart set on a new bike. When buying secondhand, always make sure the owner/dealer gives you the plates and registration book (filled out) and check the chassis number matches that in the book. You will likely have to provide passport details and in Thailand at least, proof of address. Along with the mandatory checks (oil, tyre tread, brakes, lights, battery and suspension), a fluid change/top up and a once over at a mechanics is wise. For an honest price, speak a little lingo or better still go with a local buddy. Everything comes down to cash in hand and away you go. If you’re planning on a month or longer, buy a bike and sell your it on before you leave. The types of bike that everyone rides, as mentioned above, hold their value and you’re just as likely to sell it on to a mechanic as another traveller. It’s likely that it’ll sell overnight but leave a few days at the end of your trip just in case it takes longer. It’s normal for people in Vietnam, Cambodia and Laos to leave a bike registered in the name of the initial owner, in case the name on the I.D of the person you are buying from doesn’t match that on the bike. It’s easy to see how these odd loopholes can cause suspicion and confusion! In Thailand don’t buy a bike unless the owner can present you an up to date ‘green book’- the bikes owner/registration book. When it comes to tax stickers, note that the numbers of the year are different to what we are used to. For example we are in 2016, which is the year 2559. Technically, no foreigner in Vietnam can legally own a bike, but the blind-eye-or-bride scenario seems to be standard practice for policemen and the thousands of foreigners on two wheels. Considering the paperwork for a licence is a painful time consuming headache and a licence is no guarantee for a foreigner anyway, take it easy.